Lil Wayne has reportedly withdrawn his $51 million lawsuit against Birdman and Cash Money Records. Though we’re still awaiting the Free Weezy Album any time now, it appears the situation between Lil Wayne and Birdman isn’t as dire as we once thought. Over two months after filing suit, reports now say Wayne has decided to drop the $51 million lawsuit against his mentor and record label.According to The Jasmine Brand, Young Money Entertainment (LLC), Dwayne Michael Carter Jr., and their attorneys have dismissed the lawsuit without prejudice, which means Wayne is free to re-open the case if he so chooses. 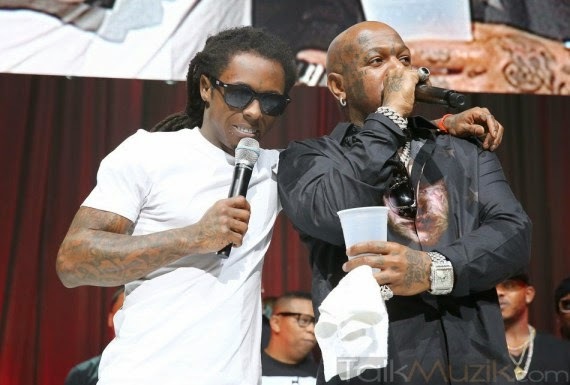 When the lawsuit first arose, reports soon rumored that Wayne would settle if Birdman agreed to pay him $10 million, the amount Wayne claimed he was owed in advance of Tha Carter V. No word if that agreement was reached or not, but we assume a hefty sum found its way to Weezy’s pockets. What does this mean for the future of Lil Wayne and Cash Money? Is he still set on leaving and taking Young Money with him? We’ll keep you updated as details of the situation continue to emerge.